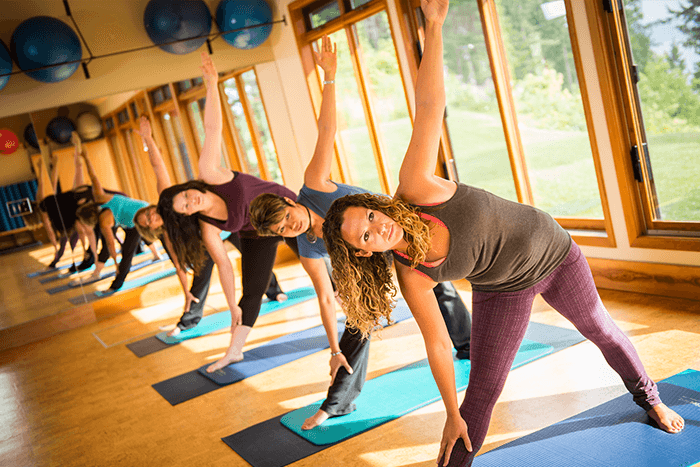 Mountain Trek has been featured in two articles recently that describe our health program as the perfect fitness-focused destination for brides-to-be. In her recent JetSetHerBlog.com article, Jamie Gaul writes that you’ll leave your bachelorette party at Mountain Trek “feeling like a new woman” and Alison Lewis writes in her HealthyTravelMag.com article that Mountain Trek is “the perfect retreat just before the big day!” Both place a spotlight on the hiking and how brides and their bachelorette parties can get fit before the big day, rather than derail all their hard work. To see Jamie’s story in its entirety, please click this link: Bachelorette Destinations Inspired by Health, Not Hangovers. And to see Alison’s story, please click here: Health Inspired Bachelorette Destinations. Mountain Trek is just starting its season and what an incredible one it has been. The weather has been absolutely stunning: we’ve enjoyed lots of sunshine with clear blue skies and stunning views of the mountains, lakes and rivers in this beautiful area of British Columbia. This is an excellent time of year for you to visit Mountain Trek because it’s a chance to really launch into recreation, relaxation and retreat. You work hard all year and now it’s time to consider taking some space for yourself: start thinking about leaving behind the stresses and worries of your job, your child-rearing, or whatever it is that occupies so much of your time, if even for a little while. It’s a great thing to reward yourself with a healthy vacation but imaging bringing along your girlfriends so you can all help support and encourage each other to get in shape and have fun! 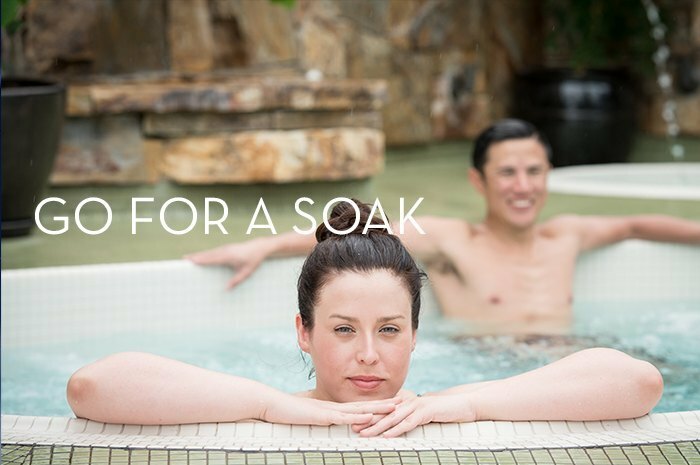 Leave the children at home and enjoy this perfect opportunity to get away from your day-to-day and spend some much-needed time with your friends getting fit during the day and getting pampered at night with our massages, saunas and world-famous hot springs. Can you imagine having the mountains all to yourself? The south-central region of B.C. is perfect because unlike areas such as Banff, Whistler and every national park in the United States there are fewer tourists around. 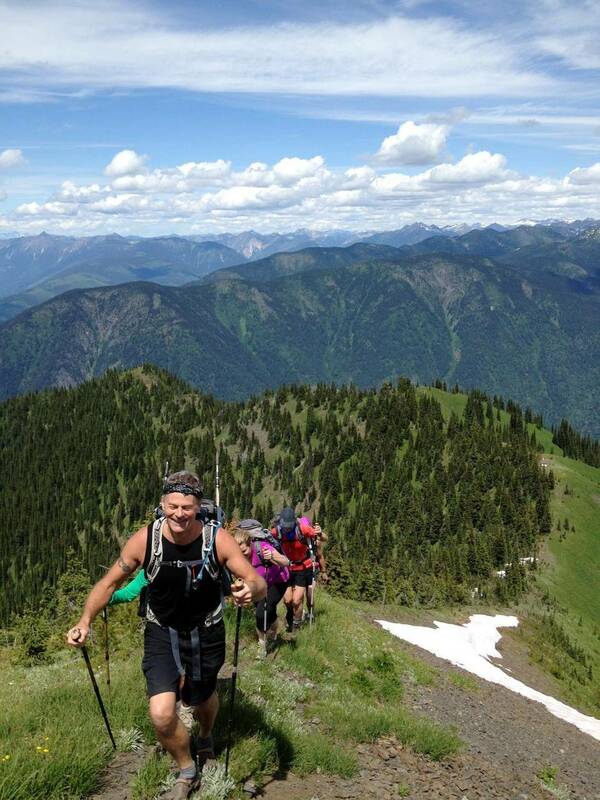 We’ll go on such iconic hikes as Idaho Peak and Fry Creek and it will be just you, your friends and some of the most stunning mountainous views in the world. 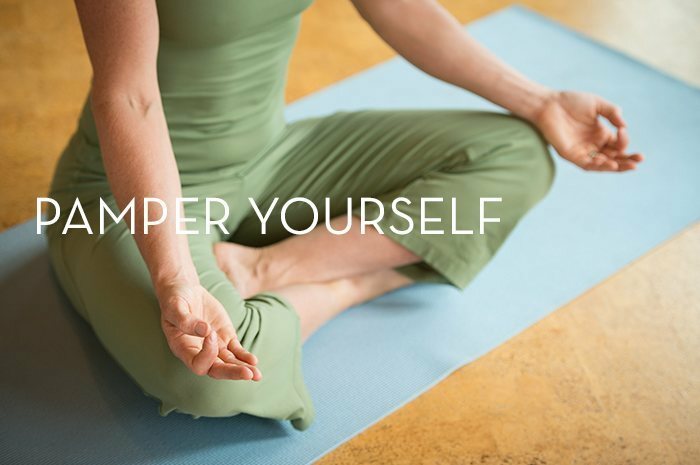 Take time out for yourself to learn healthy routines and indulge. What better way to get into a healthy mindset than to visit Mountain Trek and disover all the ways to shed stress and be healthy. Come to Mountain Trek, eat delicious meals, boost your vitality and metabolism, become more active and get your year back on track with all your closest friends by your side. Sometimes the hardest part about attending Mountain Trek is leaving. 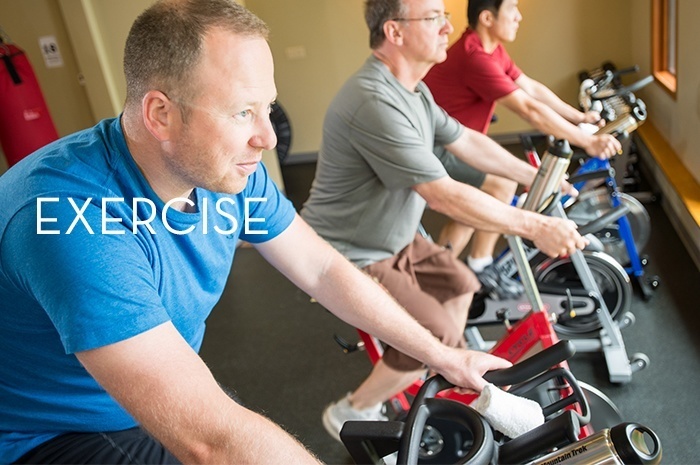 It can be difficult to incorporate the healthy aspects of the program when you get back to your day-to-day but if you and your friends all return from the fitness retreat at the same time, you’ll be there for each other and help each other through those moments when it’s tough to stay on track. You’ll have a fitness friend, a confidante and someone to share recipes with. 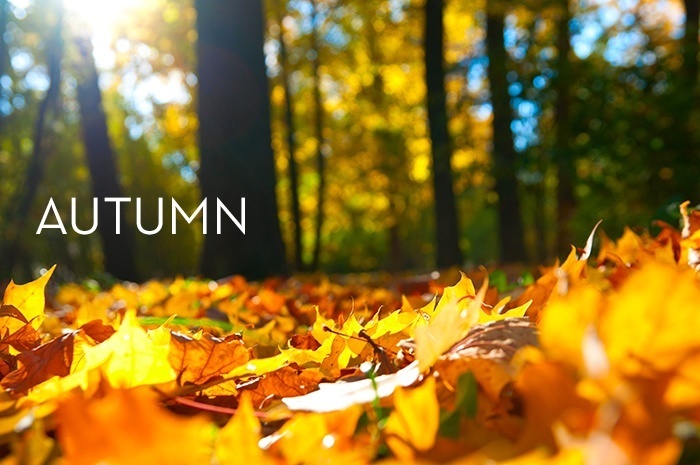 Summer is officially over in many parts of the world and the cooler weather is upon us. The days are getting shorter, the thermometer is dropping and our bodies are entering into what was, traditionally, a time of dormancy. Before the industrial revolution, we humans would spend the winter months in a state of quiescence – there was very little farming, hunting or gathering to be done so we’d slow down and conserve our fat stores. These days, our bodies are still programmed to a certain amount of inaction during the colder months but, unlike the past, we now have plenty of fatty and processed foods to snack on during that time. Here are some tips to help you avoid a lot of unhealthy snacking and remain well and active as winter rolls in. With cooler temperatures comes the desire to drink hot drinks and the most prevalent, especially in the Western world, is coffee. However comforting that cup of Joe is on a cool day, however, one must remember the harmful effects of caffeine. There is a proven relationship between caffeine and weight gain. Continuous consumption of it leads to prolonged levels of cortisol in the bloodstream, which has a negative effect on metabolism, blood sugar levels and blood pressure. 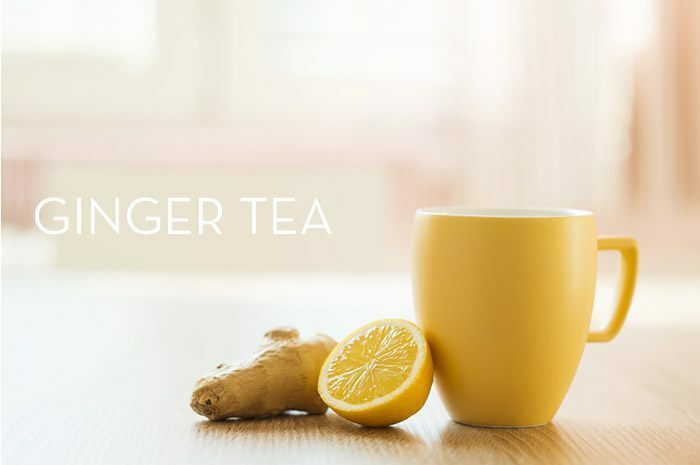 Instead of drinking more coffee, consider other hot drink alternatives such as a detoxifying and energizing morning ginger tea. As we enter months where the nights are longer, we as a species are driven to socialize more in the evenings. And in our modern world, that typically means there is more alcohol on offer. We at Mountain Trek are not abolitionists by any stretch but we think it’s important to stress alcohol’s relationship to weight gain. All alcohol has calories (even the ones marketed as being free of carbs) and so by consuming more, you’re adding to your fat stores. 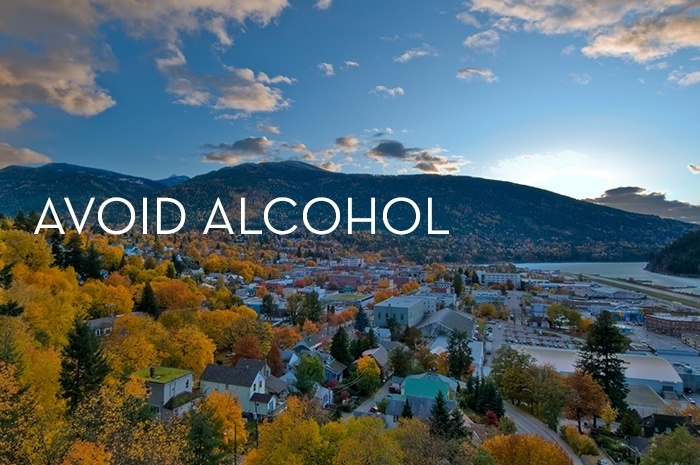 In the case of alcohol this is doubly taxing because it stresses your liver and impairs its ability to flush toxins. Imbibe in the occasional drink but considering capping of the evening with a nightcap of #3. 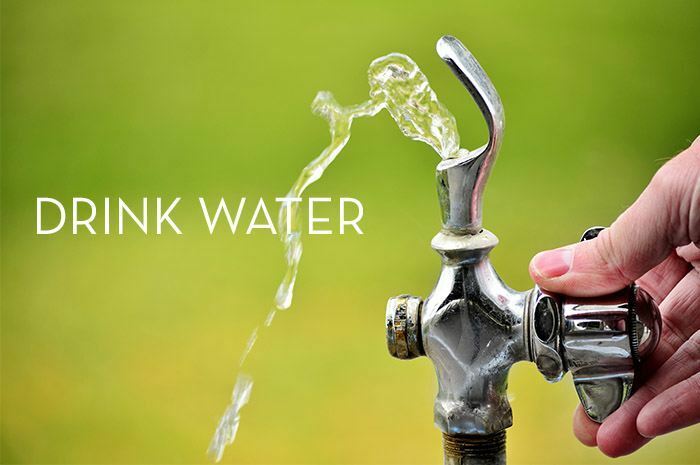 Last year we wrote a post about water versus soda pop and one of the most interesting facts about lack of water was that it is the number one trigger of daytime fatigue. As we enter the longer, colder months, our bodies tend to want to slow down and lethargy is more prevalent – drinking a few glasses of water easily rectifies that. Plus it helps you flush toxins and curb hunger pangs. As the night’s get longer our bodies respond by desiring a bit more shut-eye. Although our bodies require between seven and nine hours of sleep a night, there are many sleep problems that are preventing some of us from getting that. The good news is there are easy things you can do to ensure a good night’s rest. In this post we list seven tricks but the most important is to make your bedroom a work-free and gadget-free zone. Leave all electronic devices outside the bedroom and enjoy some shut-eye unhampered by bells, lights and agendas. This one is easy, especially as the colder months set in: find yourself a bathtub, hot tub or hot spring and just lie there. That’s it. There are many therapeutic benefits to a good soak but the main one is relaxation; the power of de-stressing is not to be underestimated, especially because balanced hormones lead to balanced health. As with #5, this one isn’t that difficult either. There are reasons most cultures on earth have offered some form of massage for thousands of years: not only is it relaxing, it’s also good for your health. In fact, an evening massage is one of the best ways to relax after the day’s activities. 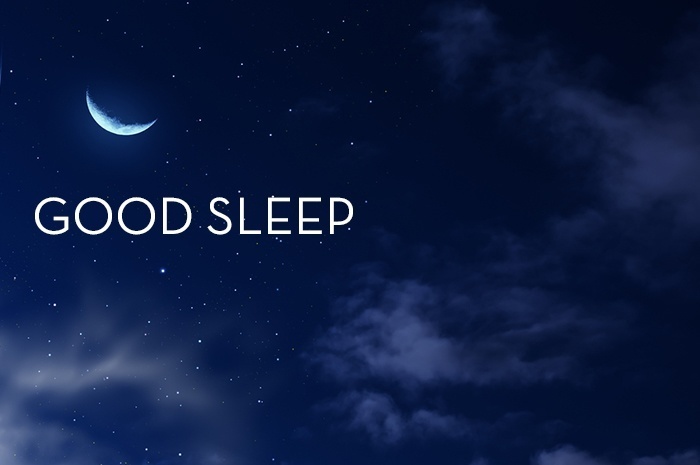 It will help prepare you for a restful night’s sleep. In another blog post we listed seven reasons why you should work out with a friend and these apply that much more in the cooler months when it’s easy for us to justify sitting in front of the TV under a blanket instead of getting up and moving. 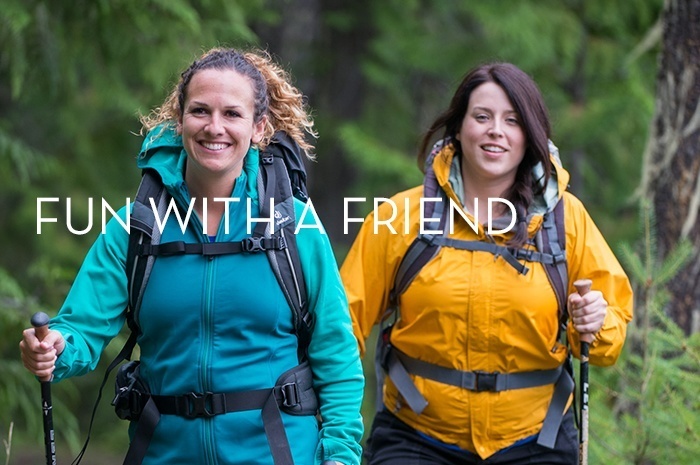 A friend will help keep you accountable but will also make fitness that much more fun. It goes without saying that we here at Mountain Trek are big fans of exercise, no matter what time of year it is. We also appreciate, however, that when the cooler weather sets in, it can be harder to get motivated. That’s why we’ve compiled some tips to help beat sedentarism some of which are as easy as doing stretches in your office doorway. Remember, though, that to keep your metabolism up and your weight down, your body has to move for at least 40 minutes a day, even if it’s just a brisk walk around the block. There are many ways to pamper yourself but the best is to do something you enjoy. It seems like such a simple thing and yet many of us work so hard, by the end of the day we only have energy to sit in front of the TV. Take time in the coming months to do something that recharges your batteries: read a good book by the fire, indulge in a hobby or attend a class. You’ll find you’ll be happier and have more energy to face the cooler weather and shorter days. The best way to pamper yourself is to dedicate a vacation to you and your health. 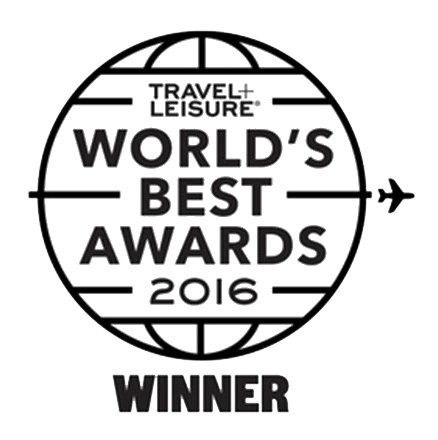 Join us at Rancho La Puerta in the beautiful Baja in November or February to revel in the sunshine. Or come out for a fun-filled time of winter activity at our gorgeous lodge in British Columbia where you’ll enjoy the pristine snowy environment and hang out with like-minded friends by the fire, in the natural hot springs or in our new spa. Now that the days are getting shorter, are you feeling a little low on energy? 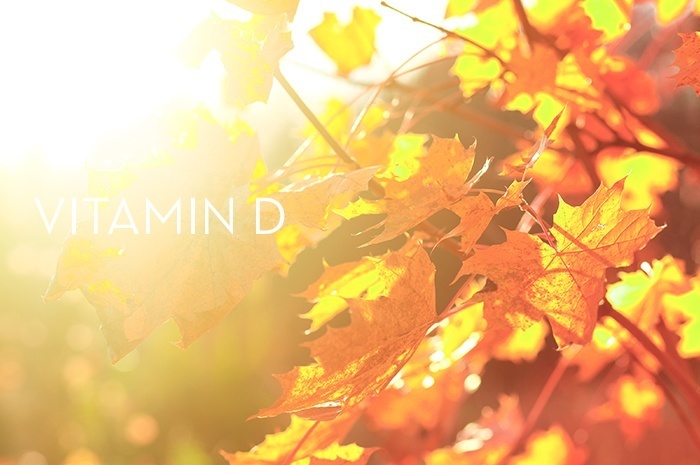 Could be that you’ve come to your ‘D-day’, a time in the year when Vitamin D gets scarcer. But the good news is it’s easy to top up with some delicious nutrient-rich foods and, of course, a visit to sunny Rancho La Puerta in the Baja with Mountain Trek! In addition to being absolutely necessary for bone growth and repair, Vitamin D also aids calcium absorption in the gut, is responsible for the modulation of cell growth, neuromuscular and immune system function, and reduction of inflammation. It also helps with depression prevention! There’s no question this Vitamin’s role is crucial to our body’s functioning health and there are two natural ways to get it: by the sun’s UV rays, and through our diet. Yet, in the months when the days get shorter, the sun is low in the sky and usually cloud covered and most of us aren’t getting enough of the sunshine vitamin. By the time spring rolls around, many of us are Vitamin D deficient. To help us stay topped up on this important player in the body’s functioning health, we’ve taken a look at two solutions: a sunny, healthy vacation and eating foods rich is this necessary nutrient. Where Do I get my Vitamin D? Fatty fish: So very nutritious for you for so many reasons, fish such as salmon, mackerel, and sardines, and even seafood such as oysters, contain some of the highest concentrations of Vitamin D in food. Eggs: Not only high in protein and so many other nutrients (Vitamin B12), the sunshine yellow of egg yolks do contain a hearty helping of Vitamin D.
Beef liver: Not everyone’s favorite, but when mom said ‘eat up!’ to those liver and onions, she knew what she was talking about as far as Vitamin D’s concerned. Mushrooms: Certain varieties of mushrooms, like white button, can provide Vitamin D among other nutrients (Vitamin B5) when lightly cooked. Many foods are fortified with Vitamin D for the simple reason that we don’t get enough in our diet, or in general. Almost all milk (and baby formula) in the U.S. and Canada is fortified with Vitamin D as are some orange juices, soy products and cereals. But please use caution and check labels, as many of these products can contain refined sugars, hydrogenated oils, and other undesirables. 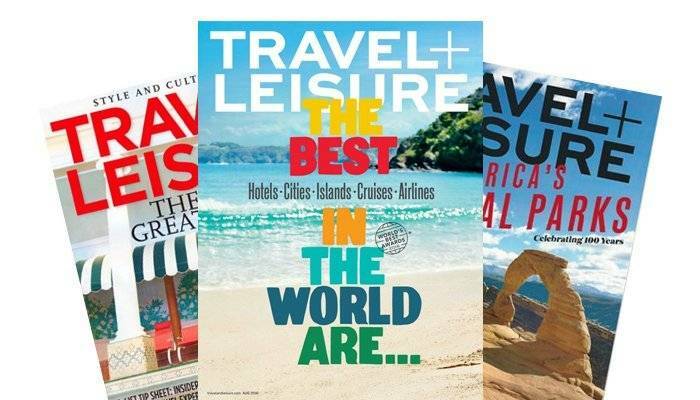 Who doesn’t enjoy a relaxing trip to a more sunny clime during the cooler fall and winter months? It’s important, though, to moderate your solar intake while on vacation. So many of us rush to the beach and neglect proper sun care in the quest for the perfect tan. This is definitely more harmful than not having any sun at all. Instead, stay out of the sun when it’s at its peak or cover up with loose-fitting, SPF-rated clothing, hat and sunglasses. In fact, the best way to monitor your sun intake while staying healthy is to join Mountain Trek on a retreat to the beautiful Rancho La Puerta property in Baja, Mexico, just a one-hour drive south of San Diego. Our guides will help you take care of your sunscreen needs while keeping you physically active outdoors. It’s the perfect way to get both a Vitamin D infusion and a health reboot at the same time. 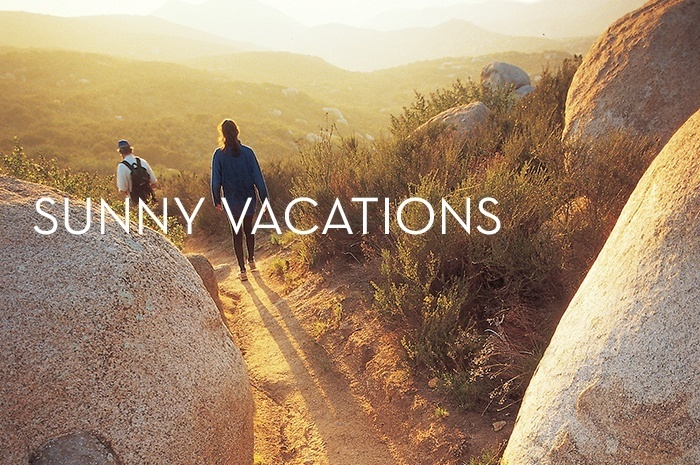 If a sun-filled, exercise-fueled vacation in the Baja sounds like something you’d be interested in, be sure to contact us soon as both the November and February spots are filling up! Click here to read Amy’s entire article, and to experience a similar personal transformation to what she did, contact Mountain Trek and we’ll let you know about what program would best suit your needs. 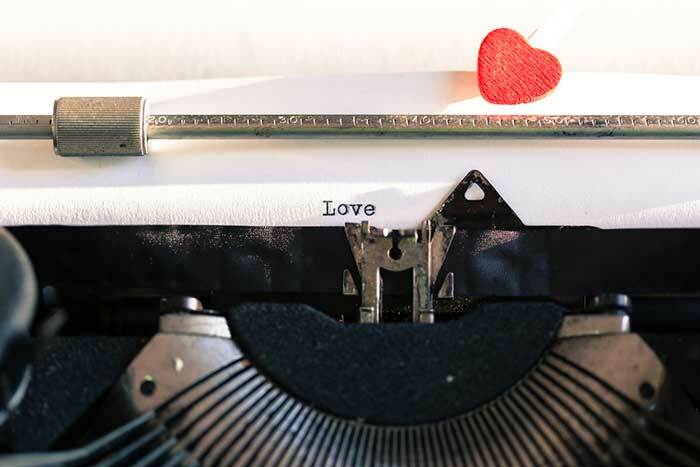 Romantic candlelit dinners with that special someone, heart shape boxes of chocolates from a secret admirer, mailing red and pink envelopes to loved ones…seems to us that Valentine’s Day is all about showing others we care, but what about ourselves? 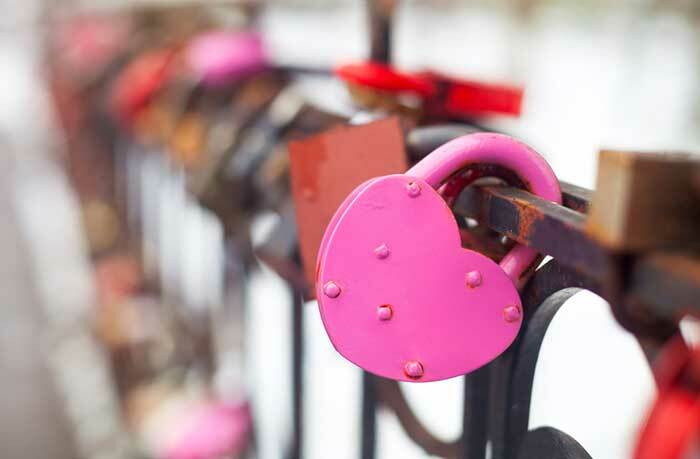 We thought it high time that in addition to all the romantic gestures we will do for others this February 14th, that we do some truly loving gestures for ourselves, too! 1. Get yourself some flowers. 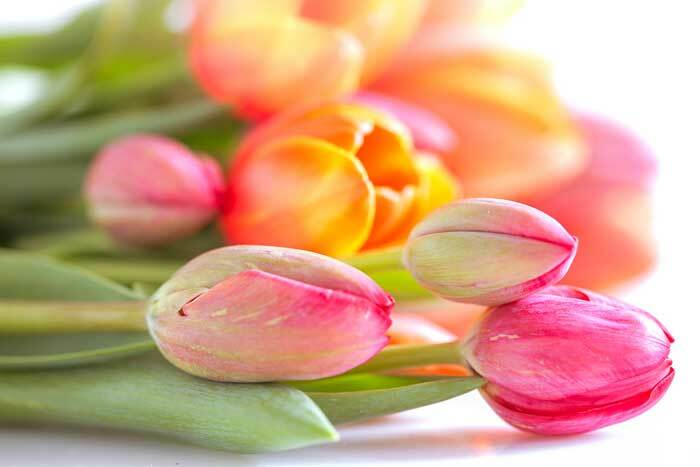 Don’t wait for him or her to do it, when was the last time you bought yourself flowers? Research shows, that beyond the numerous health benefits of being in nature, bringing a little nature into the home has many of the same effects. A study by Kansas State University compared patients in the recovery wing of a hospital; those who had plants or flowers in their rooms, and those who did not. Patients in rooms with plants requested less pain medication, showed lower blood pressure and heart rate, experienced less anxiety, and were released from the hospital sooner. And, since most of us are in the middle of winter, that added vitality and pop of colour inside may be just the ticket. 2. Spa treatment. At the day spa or in your own home and bathrobe, give yourself the deluxe treatment. Engage in a full body dry-brushing. Draw a bath, and using your favorite relaxing essential oils (i.e. lavender, chamomile, rose), have a de-stress soak. Use pure oils to moisturize afterwards, leaving yourself dewy and baby soft. Include a detox sauna, if you have access to one. Get or give yourself a facial / face massage. Get a full body massage or give yourself a hand and foot massage (elbows can be helpful here), spending some real time on every part of your hardworking hand/foot. 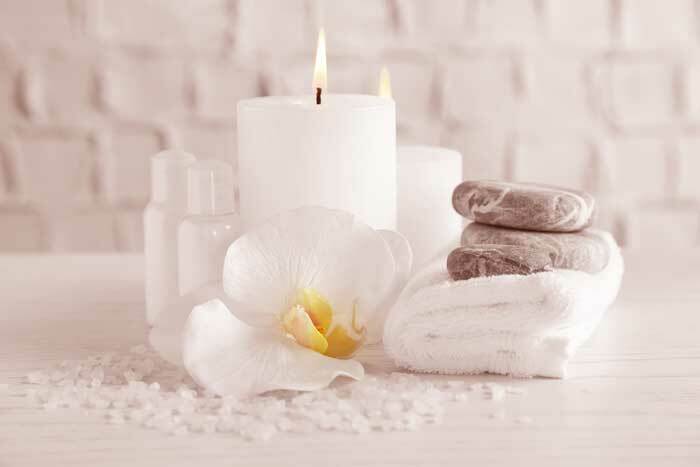 Besides offering release and relaxation, many spa treatments have numerous health benefits, including: improving circulation, immune system function, and sleep quality, stimulating the lymphatic system, reducing depression and anxiety, and the benefits go on. 3. Do something you enjoy. This may seem like a simple one, but really, in the everyday scheme of things, when do we make the time for ourselves to do one of those things we really love that truly recharges our batteries? Schedule an appointment with yourself, and keep it like a real appointment, no interruptions (after all, your time is valuable), and have guilt-free you time. A time for you to pick up that novel you’ve been dying to sink your teeth into, try that new yoga studio you’ve been meaning to get to, refurbish that beautiful old chair you bought last year, write poetry. Whatever it is you truly enjoy and will leave you feeling relaxed, and fulfilled. With this inspiration, we hope that you feel the love from everyone around you, including yourself – maybe not just today, but year round! Happy Valentine’s day, from all of us at Mountain Trek! 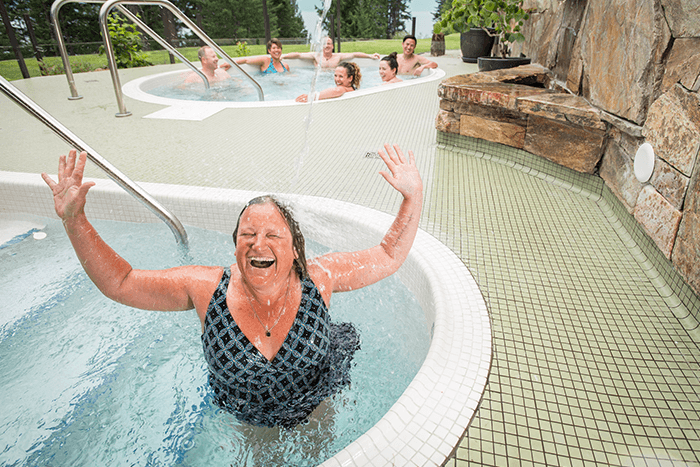 Recently professional photographer and public speaker Carla Kimball visited Mountain Trek and documented a few of her days at our spa resort in beautiful southern British Columbia. 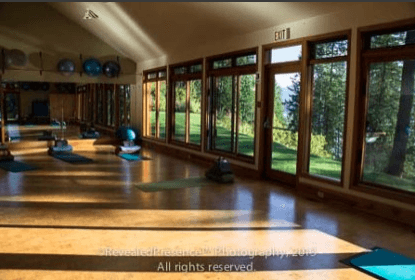 Carla posted the photos on her web site www.revealedpresence.com including images such as the one shown here of our yoga studio, hiking packs lined up along the wall awaiting the day’s adventures, and the beautiful Kootenay lake with the Selkirk mountains in the background. We thank Carla for revealing the presence in our retreat. As many of you already know, a week or two at Mountain Trek is a life-changing adventure. Nowhere else offers the unique combination of spa, vacation and boot camp that is the Mountain Trek experience. With our luxurious alpine lodge as your comfortable home base, you’ll experience world-class hiking, and nutrition and lifestyle guidance that will boost your metabolism and shift you into a lasting, healthy state of body and mind for the rest of the year, and beyond! And now, for the first time ever, Mountain Trek is offering an above-and-beyond experience called the “Super Reboot” week. From August 24-31, 2013, we’ll be offering a unique event, workshop and lecture each day in addition to the regular workouts and massages we provide. And, at no extra cost! Did you know there might be lead in your lipstick? In fact there are toxins in many of our everyday body care products and in this evening workshop a beautician expert from Mountain Waters Spa will be discussing the hidden chemicals in shampoos, make-up and other skin and body care products. She will share ways to avoid these products and offer alternate brands that do not pose a risk to our health. 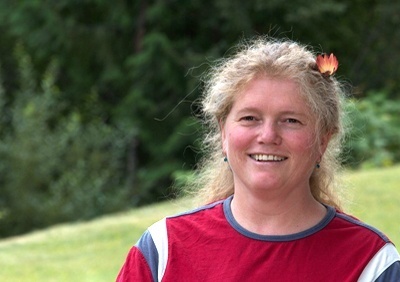 Laurie Hartland is Mountain Trek’s kitchen manager and chef who specializes in creating the healthiest meals possible using seasonal, locally-sourced, organic ingredients. In this workshop she’ll teach you how to make the same quick and healthy meals that she’s mastered for our resort and give you recipes to take home with you to wow your family and friends. For the evening Postural Alignment Workshop we take an in-depth look at what postural dysfunction can look like, and what simple and effective things we can do to help correct this. Our instructor, Anna Topf, is a kinesiologist and she’ll spend time with each client looking at their specific spinal curvature and then provide take-home strategies that will help improve your posture so you’ll look and feel better. Art Therapy combines visual art and psychotherapy in a process using a created image as a foundation for self-exploration and understanding. Thoughts and feelings are often easier to express through images rather than in words and this class will allow you to explore your emotions and current state-of-mind through a creative medium. Registered Art Therapist Milli Neufeld-Cummings will have you working with paper and paints to release unconscious feelings and improve your overall well-being. Experts say that in China, good doctors can identify 70% of a person’s health problems by examining the patient’s face. The Traditional Chinese Medicine art of face reading can be used as a way of determining the personality and characteristics of a person, and can even be used as a diagnostic tool to help prevent illness. Experts say the health conditions indicated by face readings aren’t set in stone, they’re simply warning signs, but you can heed these signs and make adjustments to protect your long-term health. Join our expert Kendra Starr, Dr. of Traditional Chinese Medicine, as she performs face readings and offers tips and tricks about how to do it yourself. 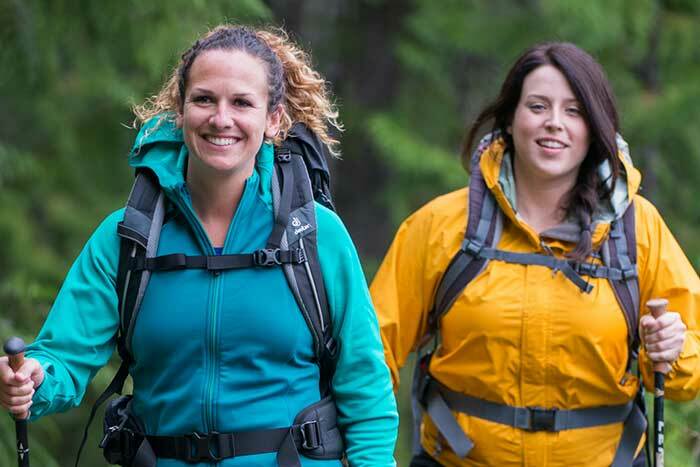 So, whether you’re a returning Mountain Trek client or new to our world-class hiking retreat, tucked away in the southern British Columbia wilderness, we’d love for you to come join us for our one-of-a-kind “Super Reboot” program between August 24-31, 2013. Click here to find out more info. 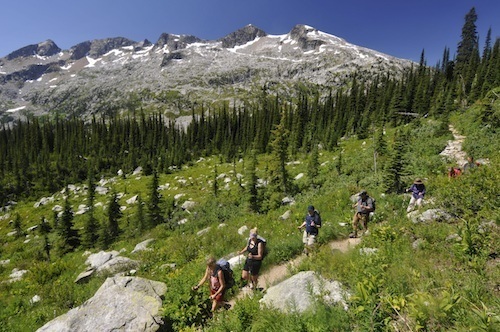 BC Living has just listed Mountain Trek as one of their “To Do” activities in the province. To read the entire article, log on to BC Living.ca. With the current state of the Canadian dollar, many people are rethinking their vacation plans this year. Gone are the days of affordable retreats in the United States and abroad. Luckily there’s Mountain Trek, the only health and fitness retreat in Canada’s beautiful BC mountains. 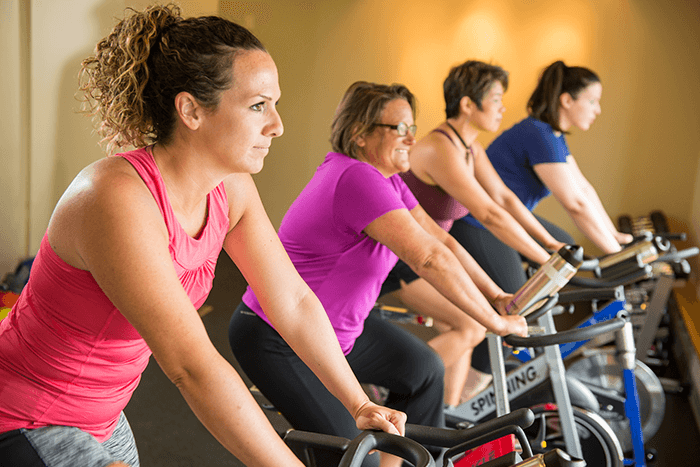 If losing belly fat, increasing your fitness level and reducing stress is important to you, and you don’t want to spend expensive US dollars, then call Holly or Lori in our Guest Services department and enjoy our special Canadian rate. Mountain Trek’s lodge and spa is the most luxurious retreat you’ll ever visit! It’s immersed in one of the most beautiful environments in Canada. Snow-capped peaks and beautiful lakes abound and the best part is there aren’t any crowds. Other tourist areas are overrun with people but the trails we hike are practically deserted and, because we only host a maximum of 16 guests per week, you’re guaranteed calming serenity. 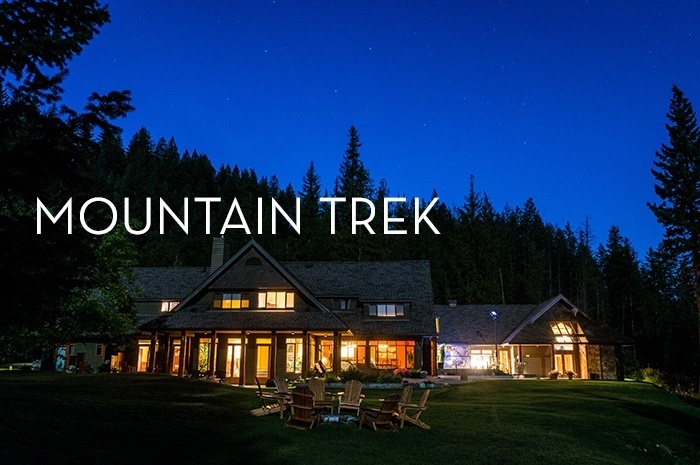 As the only health and fitness retreat in Canada’s mountains, Mountain Trek ensures every guest is well taken care of with complimentary massages, delicious spa cuisine and a low guide-to-guest ratio. 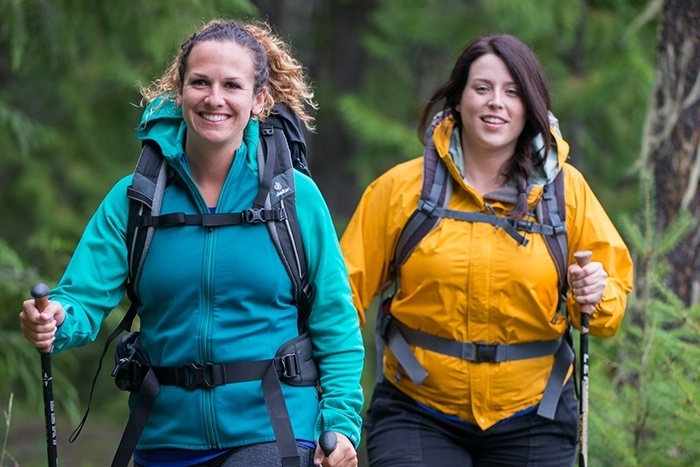 Our hiking program is specifically tailored to you and no matter what your fitness level, you’re guaranteed the most spectacular views and vistas in Canada.